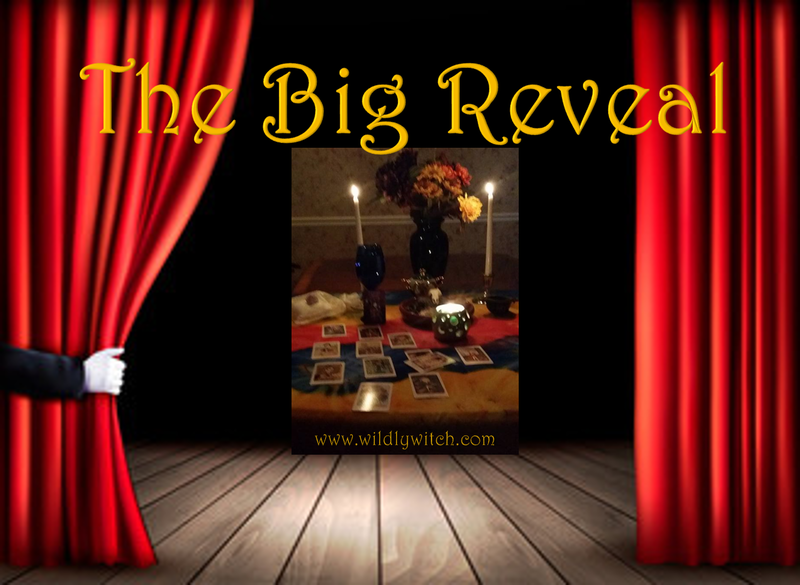 It's time for the Big Reveal! If you haven't done so yet, please go to the Facebook page and select your card. Come back here, and see how well you did. This is an exercise in honing your intuition. For the regulars, let's get to it! Are you feeling disconnected to the values and traditions with which you were brought up? Is an alienation from the norm creeping into your life? Have you been talked into something that only last year you would have considered preposterous? Are you aimless in your goals and ambition? Has an artistically inspired streak of creativity suddenly appeared out of nowhere? 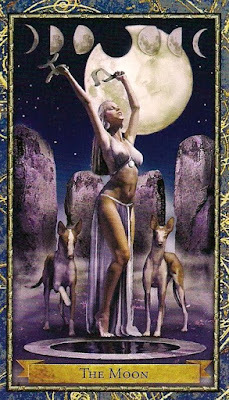 All of these brooding outsider tendencies call forth The Moon card from the Tarot deck when you seek a reading to show you the way. You may be getting so many mixed signals from the outside world. The temptations of alcohol, drugs, meaningless pleasure seeking, gambling and other escapes from reality are all too real. The Moon represents falling out of touch with reality. However, it also represents a chance to better yourself by not believing in the false assumptions that we all agree to within societal norms. Instead of following the path that you are told will get you somewhere (the path that has at present left you lost), The Moon signals your opportunity to create your own structures; a life from your own imagination and design. 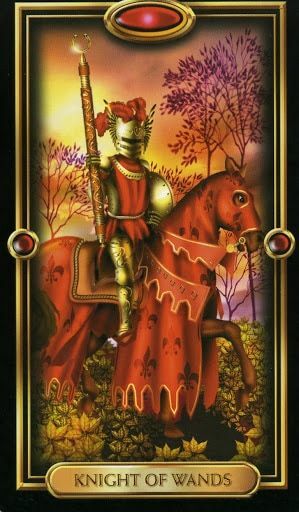 You are definitely in a more psychic and intuitive phase than usual, so it will be important for you to trust your instincts and your impressions, even if you don't know where they are coming from. Also, not that you need to be mistrusting, but it will be helpful for you to realize that when this card appears, it's possible that all is not what it seems. If you feel you can't trust someone, then you probably can't. Go with your gut. Death does not necessarily, or even usually, indicate physical death. 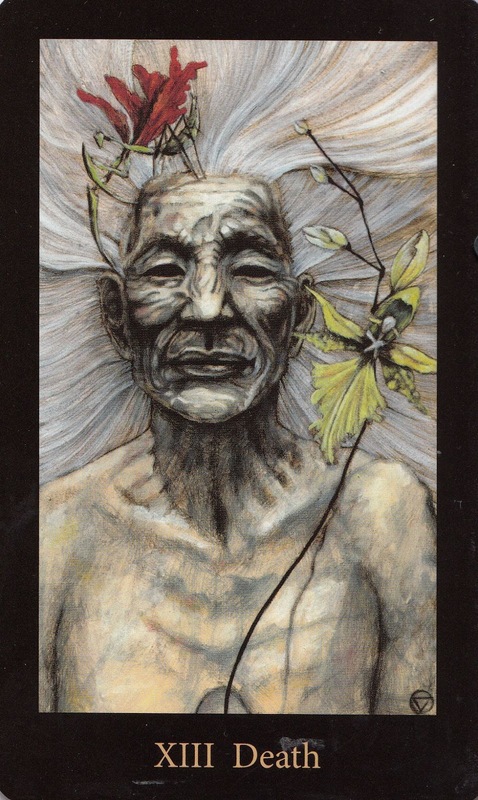 This card simply indicates transformation and change. This is definitely a time of deep transformation, likely to be both internally and externally in your life. Situations, things, and people that you have counted on or gotten used to may no longer be available to you in quite the same way as they once were. This transition can be very difficult for some people. The change though, is nearly always needed. The more accepting you can be of change of any description during this time the better. Simply put, the less you try to control what is underway the more comfortable this time will be for you. Often what you need to let go of is some sort of self-limiting belief or attitude. Sometimes we just can't see how our attitudes are hurting us, and when that is true this time period can be a wake-up call. The energy of this time is not just change or destruction; it is change or destruction followed by renewal. Even though one door may have closed for you another is opening. The change is coming whether you want it or not so pluck up your courage and step through the door. This change is needed. 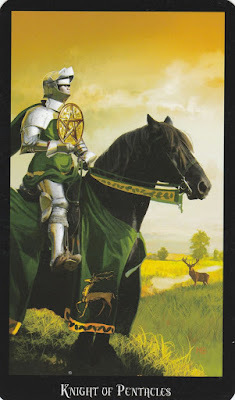 Knights are often message bearers, and in the Wands suit, the messages are likely to be positive and related to work or career. Your projects are likely to be/have been more successful than you would have expected or predicted. You have a lot of reasons to feel pride. Savor it. How did you do? Are you finding this exercise helpful? What insights would you like to share? You are welcome to contact me here, or on the Facebook page (where most people comment). I look forward to hearing from you!